Meet the esteemed business people that make up the African Entrepreneurs Council Executive Committee. George Sebulela is a highly experienced leader, entrepreneur and distinct professional with many years’ experience in strategy execution and investment banking in South Africa and internationally at a senior level. A board director with extensive corporate and business experience, he has achieved significant executive leadership accomplishments in business and philanthropy. His strong leadership, entrepreneurial skills constantly aid his natural affinity to cultivate relationships, persuade, convene, facilitate and build consensus among diverse individuals. George’s qualities of integrity, credibility and a passion for progress particularly within the Corporate Governance scope makes him an ideal candidate for organisations seeking to appoint a board/committee chairman and/or a non – executive director. His appointment in a progressive board will be highly profitable and ensure the high performance of any board in meeting its obligations as set by the shareholders. To be recognized as a leading Global Investment Specialist with an entrepreneurial air commanding Investment Banking experience, Business Strategy, Business Operations Management Experience and Strategy Execution skills amassed over the years in enhancing shareholder value. George firmly ensures that all matters of Corporate Governance are adhered to with no compromise. 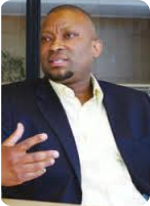 George Sebulela is currently the President and Chief Executive of Sebvest Holdings, a global Financial Services Group & with Strategic Investments in various companies. He was an Executive Committee Member (EXCO) and Head of Empowerment Division of ABSA Capital responsible for Government, Empowerment and Public Infrastructure Finance. Current Board Appointments: Founder and President of African Entrepreneurs Council (AEC), Former Chairman of the Black Business Council (BBC), Now Current Secretary General of the Black Business Council(BBC), Director of Sanlam Investment : Private Wealth, Board Member of Eskom Holdings, Board Member of Aerosud Aviation , Chairman of Aerosud Holdings board, Member of the Eskom Holdings Board ‘s Audit & Risk, Secretary of United Arab Emirates South Africa Joint Business Council (UAESAJBC), Council Member of the University of Fort Hare, Chairman & Member of the Investment Committee of the University of Fort Hare Foundation, Secretary General of the Black Business Executive Circle (BBEC). serves on the Presidential Advisory Group chaired by the President of the Republic of South Africa and Deputy President of the Republic of South Africa, Committee member of the Johannesburg Stock Exchange (JSE) companies’ CEO’s initiative steering committee chaired by the Minister of Finance and the Chairman of Telkom. He serves in the B20 Trade and Investment, & B20 Financing Growth and Infrastructure. George has since inception been involved in BRICS (Brazil, Russia, India, China & South Africa) Business Council, where he was instrumental as a key driver in the successful establishment of Financial Services Working Group(FSWG), He is currently the Co-Chairman of the Regional Aviation Working Group(RAWG). He was a member of the ABSA Capital EXCO Committee, Chairman of Diversity Committee (DIVCO) of ABSA Capital, a committee member of the ABSA Group FSC responsible for the ABSA Group empowerment Financing, member of Johannesburg Loan Committee (JLOC), member of the Credit Committee, member of Executive Recruitment committee (RECO), Member of the ABSA Group 2010 steering committee. Mr Sebulela worked as a Business Development Executive at Avis Fleet Services, responsible for Business Development & Marketing, and Government & State Owned Enterprises. Mr. Sebulela subsequently joined Premier Foods, where he was the Marketing and Corporate Affairs Executive. As an entrepreneur, he founded the following companies Konica Makweru, where he served as an Executive Director, Sharp South Africa where he served as a Chief Executive. 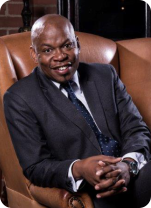 Mr. Sebulela has served as a director on a number of boards of companies including among others, Du Pont Telecoms. Professional Ethics for Certified Public Accounting -University of Northern Iowa USA (1986 – 1986). Master of Philosophy – University of Hull Completed 1994. Negotiating International Contracts – World Bank Group Completed 1994. Computer Applications in Public Sector Financial Management – Universities of Birmingham, Heriot Watt and Hull Completed 1988 to name a few. Sello Mashao Rasethaba is a business leader, energiser, lobbyist, with broad spectrum of engagements spanning private, public sector involvement and state-owned entities and is a member of various committee, boards, sub-committees, and Founding Donor Trustee of the June and Andrew Mlangeni Foundation, serves on executive committees in business and civil society advocacy structures and a regular invitee to international business delegations of the state led by the Office of the President of South Africa in its interaction with other countries on behalf of the Government of the Republic of South Africa. Rasethaba is a lobbyist of note, an energising business facilitator, boasts a track record of being an insolvency practitioner and management consultant with experience and knowledge to help develop and carry out winning strategies. He has been in the employ of Coopers and Lybrand Management Advisory Services and Ernst & Young Ernst & Young Management Consulting Services. He received a BA (Accounting and German) from the University of Northern Iowa in the United States of America and a Masters of Philosophy (Accounting) from the University of Hull in the United Kingdom in the formulation, development, and implementation of information technology strategies. He is currently the Chairman of Xpanse involved in the maritime infrastructure and logistics industry through various investments. He is Chairman of the Lobbying Corporation of South Africa and Vice President for State Owned Enterprises and Government in the African Entrepreneurs Council (AEC). In September 2016, he was elected as Chairman of the Black Business Council (BBC). His is an Executive committee member of the National Economic Development and Labour Council (NEDLAC) as well as on its Public Finance and Monetary Policy Chamber and its Audit and Risk Committee including the Finance Committee. He sits on the Financial Services Working Group of the BRICS (Brazil, Russia, India, China and South Africa) Business Council. He is a member of the Special Economic Zones (SEZ) Advisory Board and chairs its Policy and Governance Subcommittee. 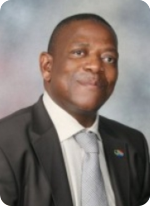 Rasethaba has served as former director of Lexmark International South Africa. He was the inaugural chairman of the board of directors of the government’s IT procurement arm, State Information Technology Agency (SITA) from 1999 to May 2002. He was chairman of Saatchi & Saatchi South Africa from 2002 until 2011. He chaired Transnet Tender Board for three years. He has been a board member of various entities including Northwest Transport, Gauteng Gambling Board, and the National Horseracing Authority. He retired as the Executive Director of Mediterranean Shipping Company’s (MSC) logistics and depots companies in 2016. Jerry is a Banker and Financial Services expert with over 20 years in the financial services industry in South Africa. He worked in auditing, banking & treasury before founding an Investment Banking Services Company. Jerry Mashamba trained and qualified with Ernst and Young Chartered Accountants CA (JHB, RSA). He holds a Bachelor of Accountancy degree, Bachelor of Commerce (Hons), Certificate in Theory of Accountancy and Postgraduate Diploma in Auditing. During his tenure at EY, he performed audits within the Banking and Financial Services Group including Banks, Insurance, Employee Benefits and numerous treasury houses. Jerry was involved in the offshore listings of Investec Bank Limited, Telkom and Anglogold. He then worked for Eskom Treasury as a Senior Finance Manager and until then he proceeded to lecture at the University of Natal and provided additional academic support to RAU and University of Natal Accountancy departments. Jerry has had a keen interest in banking and capital markets which prompted him to the be the founder of JM Capital (Pty) Ltd in 2005, a financial services advisory firm. Ipeleng Selele is a qualified International Strategist and an entrepreneur. She specializes in foreign market entry strategies and execution across different sectors and markets in Africa and the globe. Ipeleng has interests in maritime affairs, LPG and LNG distribution, foreign market entry strategies, strategic consulting services, maritime ports training, agro processing, facilities management, ICT and Education. She has worked on projects in South Africa, Kenya, Cameroon, Mozambique, Tanzania, Uganda, Namibia, Ghana, Rwanda, Nigeria, Angola, Singapore, US and the UK. Ipeleng’s sector experience is in Maritime and Ports, Oil and Gas, Telecommunications, IT, FMCG, Banking, Branding and Marketing, Pharmaceuticals, Infrastructure, Media, Insurance and Automobiles. She also has a solid experience in strategic nation branding, she conceptualized and executed the first Brand South Africa’s stakeholder engagement strategy programme and training globally that was showcased at the World Economic Forum in Davos-Switzerland. She assisted with the maritime annexure plan for maritime and women in maritime at the African Union in relation to Africa Integrated Maritime Strategy 2050 execution plan at the AU. She also conceptualized and launched the first ever portal of African Maritime Affairs that was launched at the African Union. In particular, Mrs. Selele has played a pivotal role in driving the African Ports and Maritime development agenda. She was instrumental in conceptualizing and implementing the recent BRICS Maritime Investment Forum 2013 Summit which was held in Durban; South Africa focusing on the Maritime agenda. She championed the BRICS Maritime Trade business seminar aimed at leveraging the BRICS partnership with an objective of developing Africa’s maritime trade and attracting investment into the maritime industry. Most recently, she spearheaded the conceptualization/owns and implemented the immensely successful inaugural Africa Maritime Investments Indaba 2013. Ipeleng Selele holds an MSC (Master of Science) in International Marketing Strategy majoring in Foreign Market Entry Strategy from the University of London South Bank. She recently completed an African Leadership Executive Course from Oxford University as part of her TUTU Fellowship as well as a Strategy Execution Qualification from INSEAD, France. 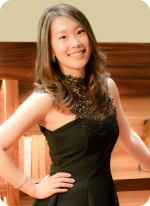 She is the Vice President of the Africa-Southeast Asia Chamber of Commerce based in Singapore. She is passionate about entrepreneurship, youth and women development on the continent. She is the Vice President of African Women in Maritime. Academic Record: Itumeleng Moraba graduated from Technikon Northern Transvaal (now Tshwane University of Technology) with a Diploma in Public Management as well as attended Sales and Business Leadership training from the IBM Business School of London. He also has a Finance Certificate from Wits Business School. Academic Record: Rita Chen, holds dual degrees in the area of Commerce and Law and is completing her LLM in Oil and Gas offered jointly by the Universities of Aberdeen, Copenhagen, Groningen and Oslo. Achievements and Highlights: Rita is one of the few Chinese admitted attorneys in South Africa who is fluent in both Mandarin and English and has extensive knowledge with engagement in the Chinese-African economic and trade exchanges. She previously worked at two of the leading commercial law firms in South Africa and has acquired knowledge of African, Chinese, European and North American business cultures and as a result, she is able to adopt a bespoke approach in commercial negotiations. The deeper appreciation of cultural variations has led her to accurately understand the client requirements from different business segments. During her time as a commercial lawyer, Rita has successfully advised clients in deals worth over $2 billion in total. Rita specialises in commercial law with a particular emphasis on contractual, statutory and regulatory matters in the mining, renewable energy and oil and gas sectors. Rita was selected as the youngest female upcoming attorney by the IFLR1000/Petroleum Economist 2014 Energy and Infrastructure Guide. Rita’s success is built on a solid foundation of trust, insightful and innovative deal structuring and the ability to understand business and economic imperatives which is essential for the successful implementation of a deal.